The long-awaited film adaptation of popular British TV show, Absolutely Fabulous, hit theaters in Australia this week much to the excitement of fans. 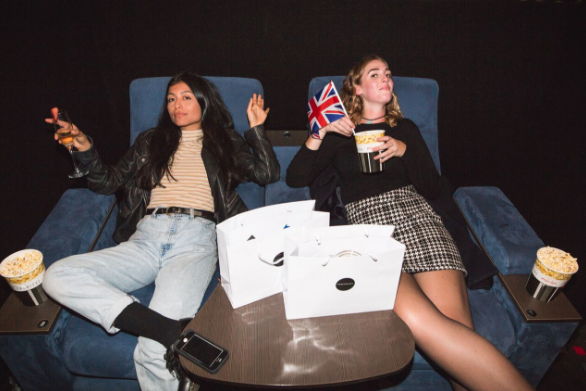 On Tuesday, the 2nd of August, English brand, Debenhams, fittingly hosted the ‘AbFab’ screening at the Hoyts Lux Cinema in Moore Park, complimenting the event’s British theme. Guests mingled in the Lux Lounge before each receiving a Debenhams gift bag on their cinema seats, which included English lollies to keep viewers’ sweet tooths satisfied throughout the film. Champagne cocktails were sipped during the screening and snaps were taken in the photo booth with cut outs of the Ab Fab cast, including props such as Edina andPatsy’s much loved Bollinger and Stolli. The Debenhams hosted 40 lucky viewers at the exclusive screening, who experienced the intimate British vibe of the event thanks to Debenhams and Ab Fab.